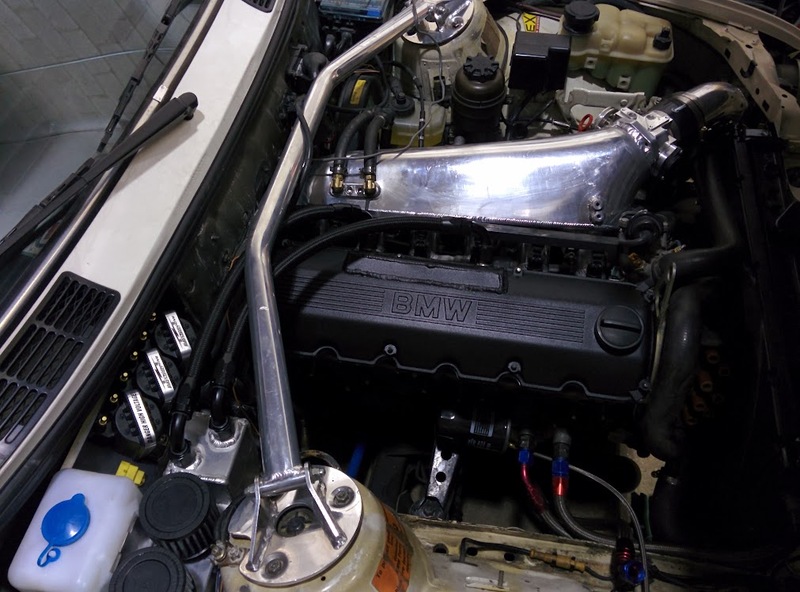 Finished up an E30 this past weekend, the car/setup was built by another shop in Toronto who did some mediocre work. Motor was put together well it seems, but I have no idea what’s in it and neither does the owner. 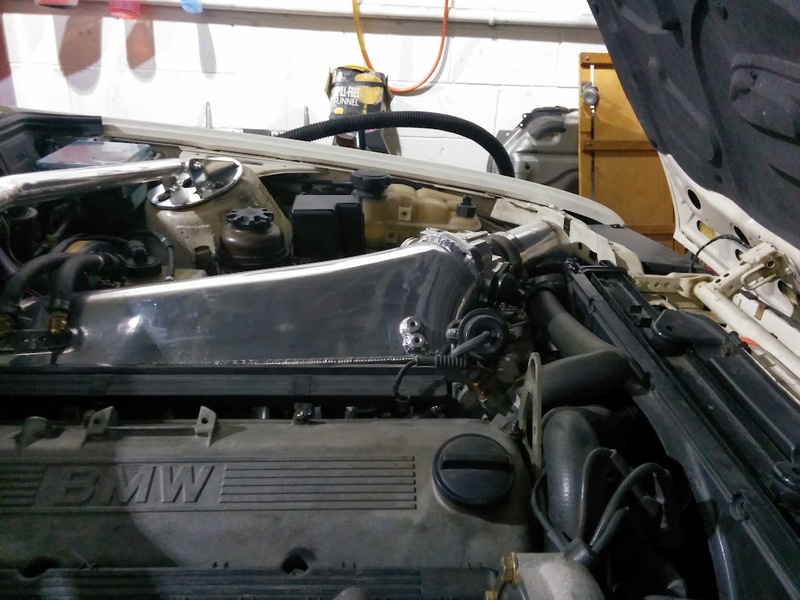 It’s a stroked 2.8L M20, with a cam and a little port work to the head. I think the compression is quite low, but again not sure. 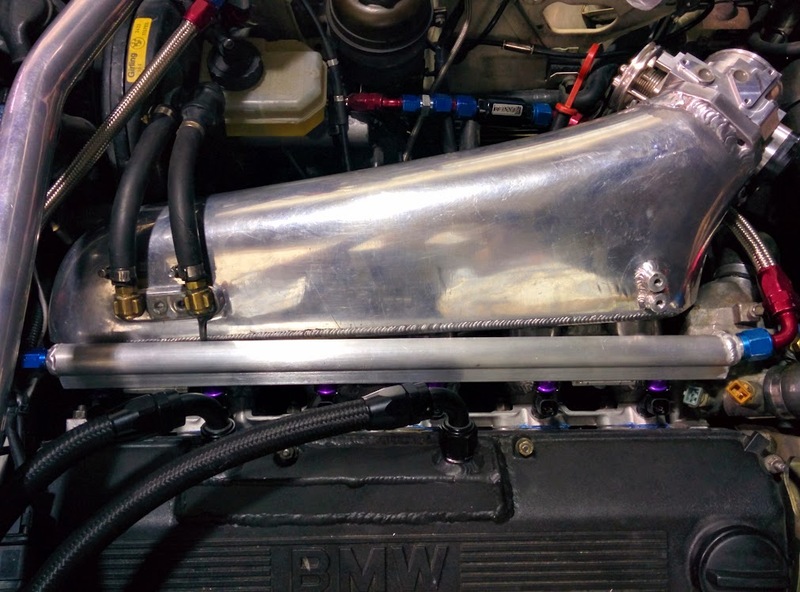 My good friend Robbie @ RS Autosports remade the turbo manifold as the original was just some little pipes welded to the M20’s stock manis to a V-band exit. 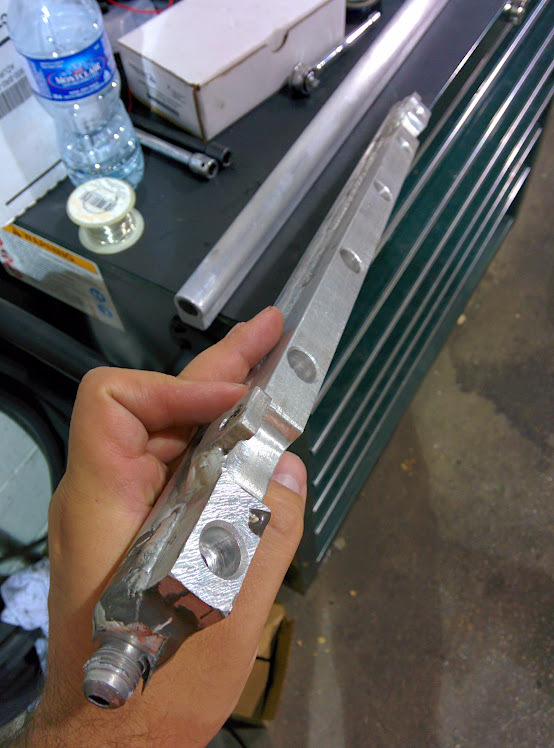 The intake manifold is the Ebay M50 unit that was chopped up and mated to the stock lower portion of the M20 IM. 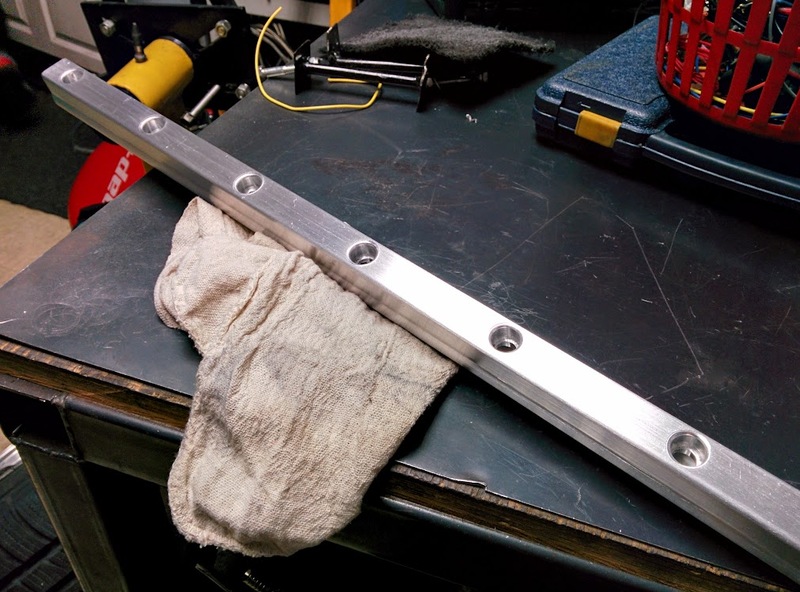 Not very pretty of course and the fabrication leaves a lot to be desired. The lip on the inside of the runners where it meets the M20 lower part is huge no doubt causing flow issues there. Throttle body is from an S2000 or K series I believe (the shop who did the original work was mainly a Honda shop). 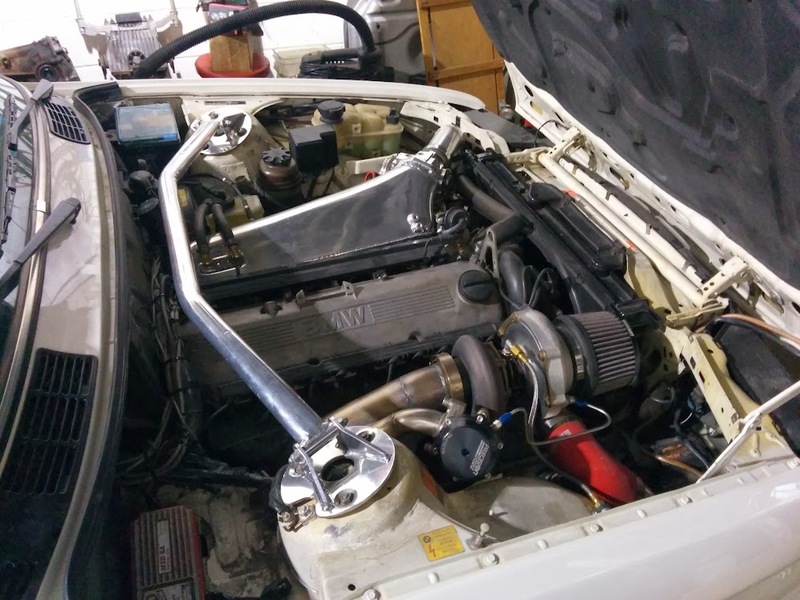 The car came to me early in 2014 bucking and stuttering, running a 4 cyl Haltech Sport Elite box (batch injection + distributor ignition) again done by the original shop. 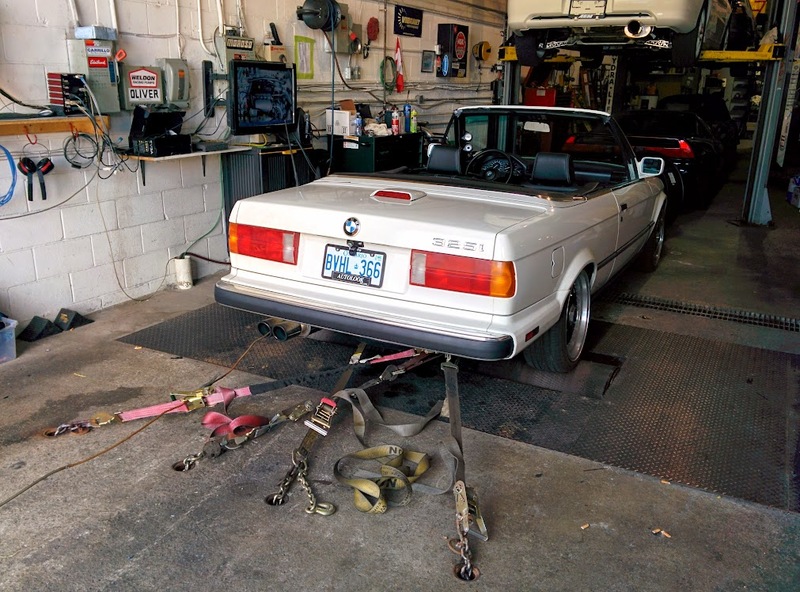 The car barely ran, and the owner was fed up of not being able to drive the car, bringing the car back to the builder for “tuning” trying to make it all work. Before working on the car, I inspected it all and found that the crank sensor was wired backwards, and pretty much all connections made were just twisted together and covered with electrical tape. The internal MAP sensor of the Haltech box was a 2.5 BAR unit (max of ~22 psi) but the car was running no boost controller but had springs in the WG for ~29-30 psi. Obviously the ECU had no idea what to do for fueling or timing for where it really mattered. 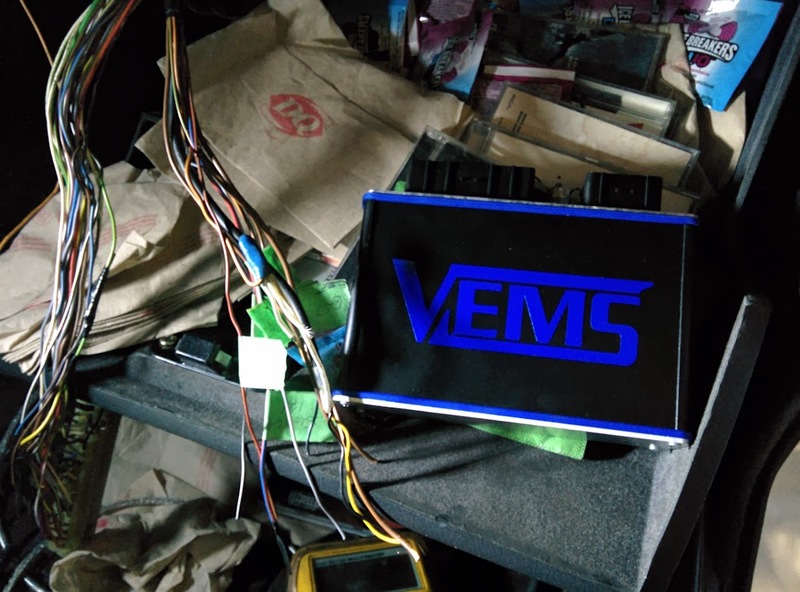 We agreed to rip out the old ECU completely and install a VEMS ECU along with new wiring. 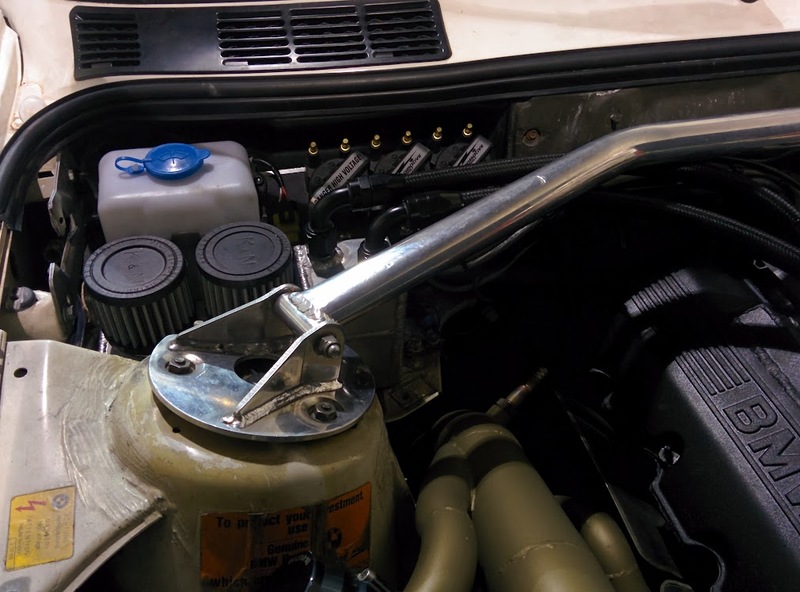 The car will also get a new ignition system (waste spark) and run semi-sequential fueling. 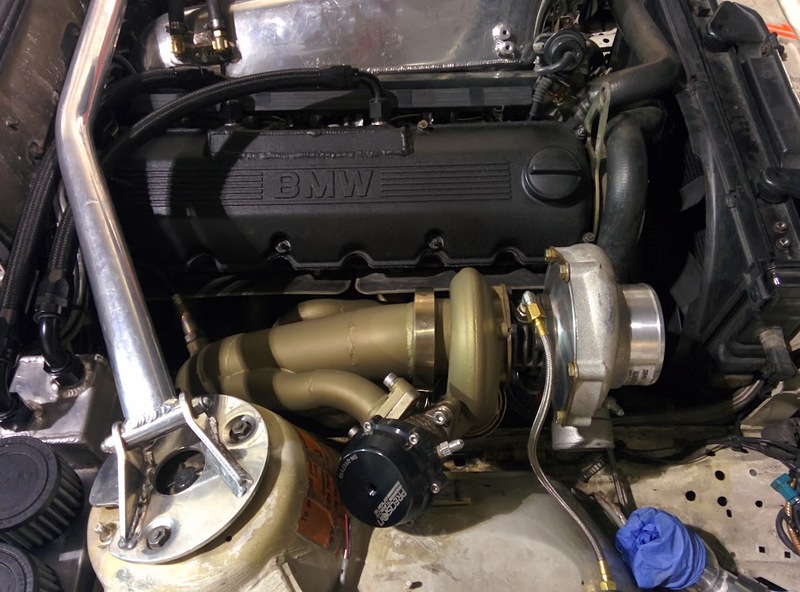 Along with that RS Autosports ripped out the old turbo mani, and proceeded to make a 3 pc tubular V-band manifold, and also ceramic coated the manifold, exhaust housing + Downpipe/WG combo. 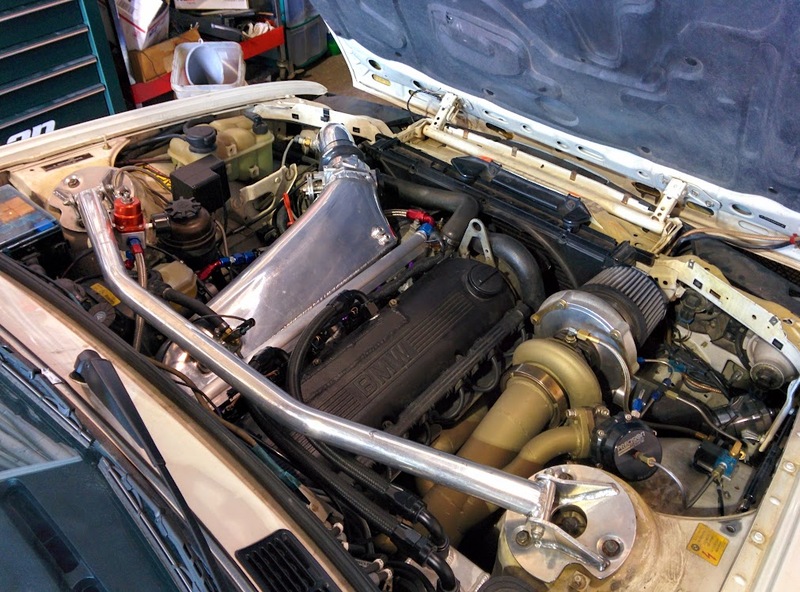 As you can also see, RS Autosports also fabbed up a catch can/vent tank for CCV with 2x -10 AN fittings on the valve cover. At the same time, the CCV tank acts as a support for the waste spark coil packs + windshield washer reservoir.. 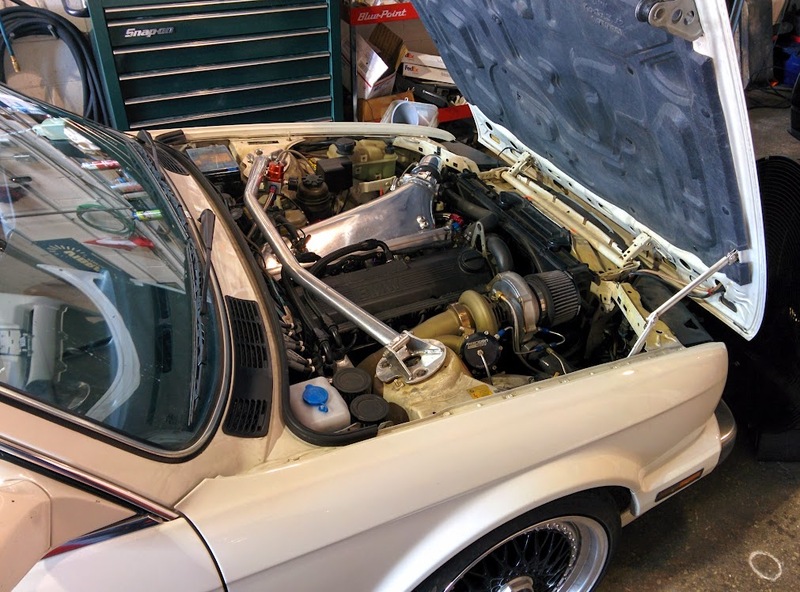 Along with that the fuel system was not exactly up to my standards with some Bosch 440cc injectors and a Walbro 255 in the tank with stock wiring, we agreed to upgrade the fuel system at a later date to some larger injectors and at the minimum rewire the pump with a relay kit. Unfortunately the owner had taken the car to someone else as he didn’t want to wait for us to re-work his fuels system. 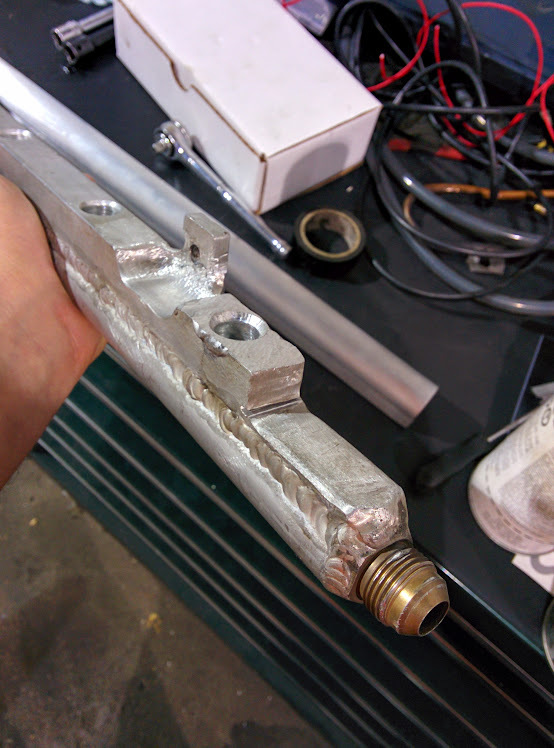 The people didn’t really have much fabrication skills or foresight, they upgraded his pumps on the transfer pump side to some sort of twin pumps going into a -6 feed, which then steps up to a -8 to the rail about 2 FT before the “custom” aluminum fuel rail they made for him. He told me on the phone about the issues they were having with the raul leaking, etc so I knew I was in for a treat once I saw the car. 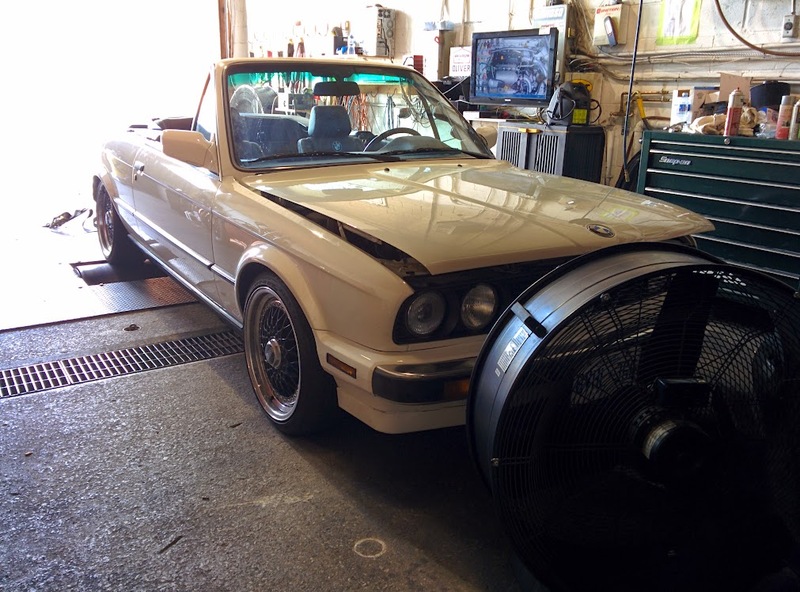 I was also told they went into the ECU and made some changes “because they did BMW tuning back in their homeland” whatever that means. Yay! Last Friday the car came back to me, within 5 minutes of seeing this fuel system I was not at all shocked to find it was a complete mess. 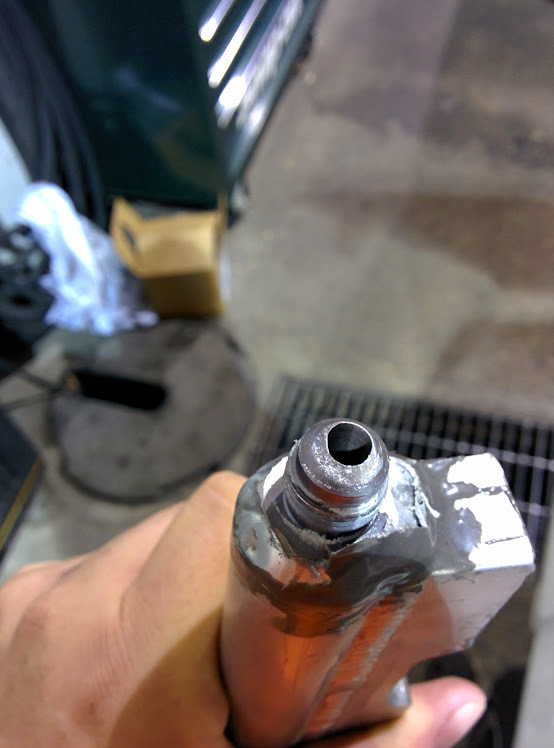 All the injectors were siliconed into the lower IM because the rail was on such an extreme angle the o-rings wouldn’t seal. 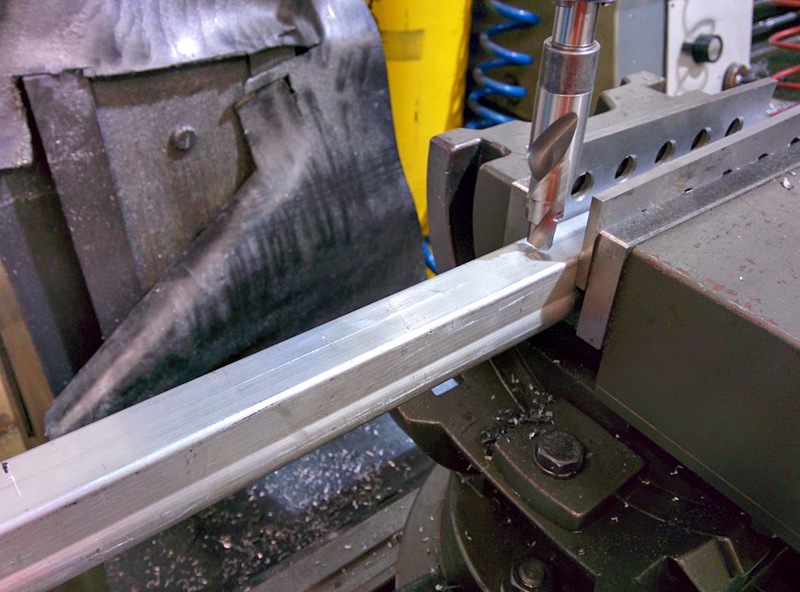 The rail itself was a complete abortion as well, welded by a blind man, cut, drilled, shaved, re-drilled multiple times. 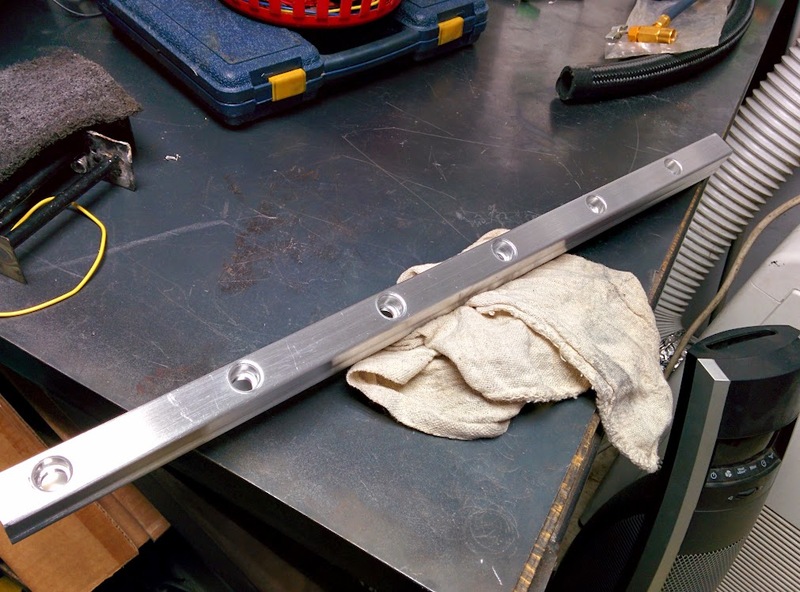 Then JB welded the return AN fitting/lines on because they couldn’t get it to stop leaking there I guess. I also had to put a fuel pressure gauge on the new regulator they had installed (without a gauge), so I could set the base pressure. Once the gauge was on, I checked what they had “set” it to, base was 62 psi, that of course threw the tune off completely vs the std 43.5 psi I had tuned the ECU with. But with the new injectors in I reset it to 45 psi base and plugged in the new injector offsets, re-scaled the main fuel variable and she started right up! 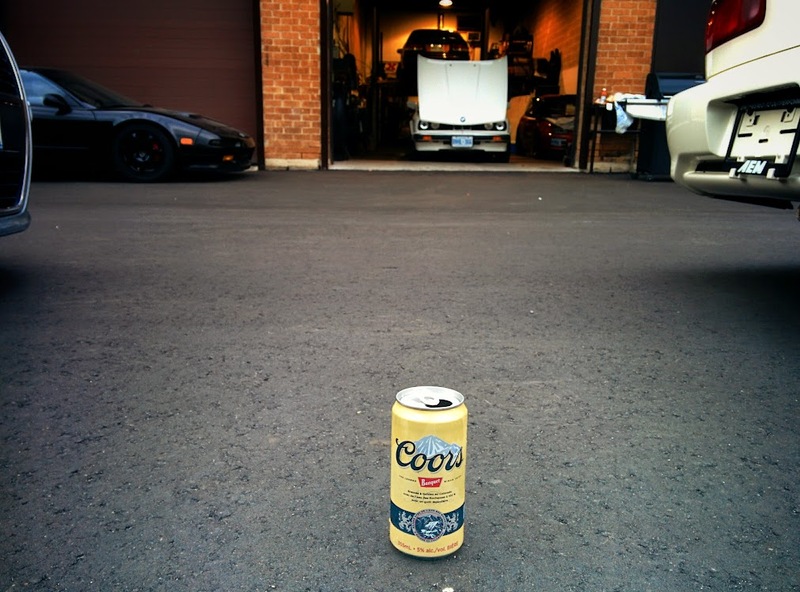 Next day it was on to get the car on the dyno, flush out the meth system that contained Windex washer fluid with some pure methanol and wired in a map switch so he could switch on the fly between low boost and high boost settings. After some quick clean up on low boost, I set the meth controller dials and started to map fuel + base boost duty along with ignition. 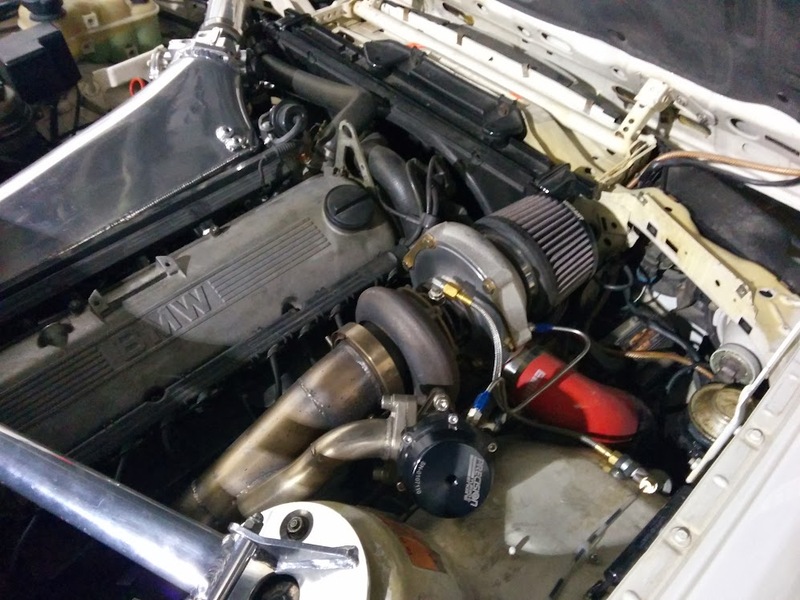 A little while later we ended up with the figures of 506whp @ 28 psi of boost with completely closed loop boost control taking care of getting the most of out spool on this setup. The 6265 being a little on the large side for what this motor actually flows IMO. I didn’t push much ignition timing or fueling because the meth setup doesn’t have any safeguards at all. Overall I wasn’t really too impressed with the Snow Performance controller. 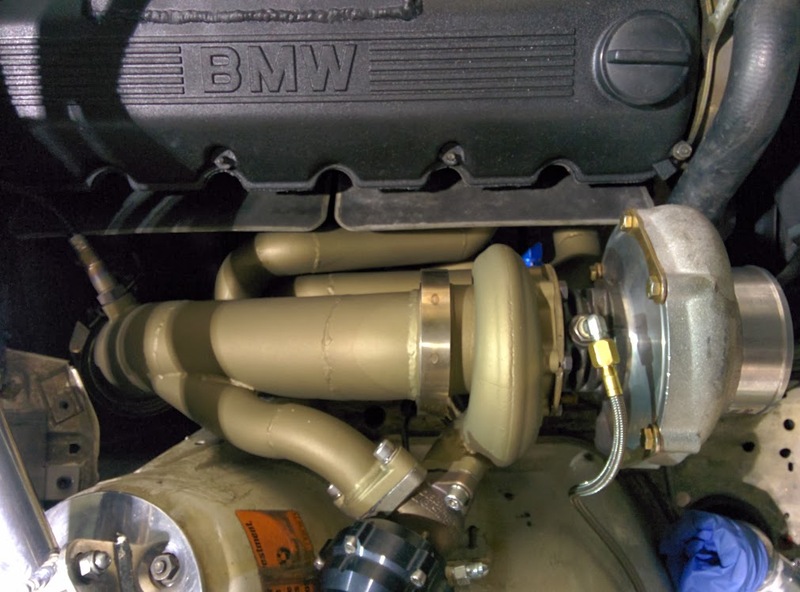 Low boost comes in around 356whp @ 16 psi and can be run without methanol. 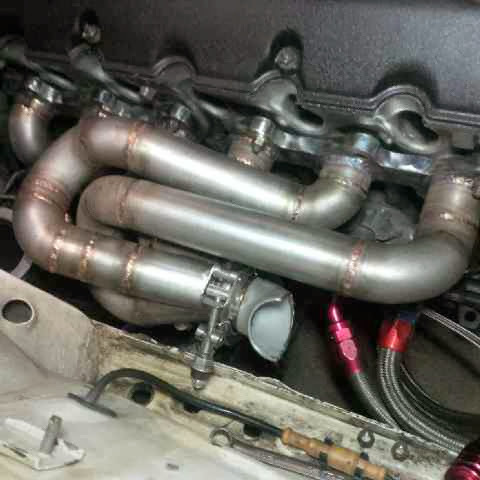 High boost resulted in 506whp @ 28 psi running full on methanol injection. And that’s all she wrote! 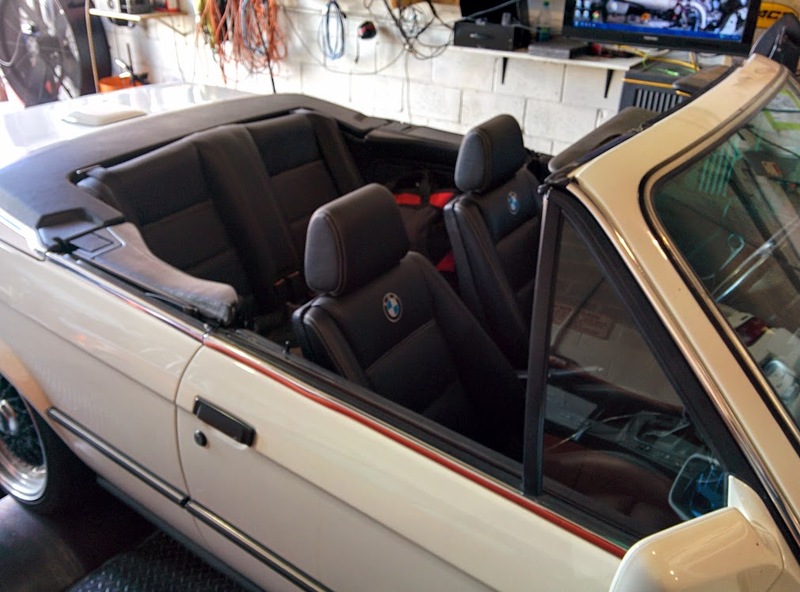 The owner is now able to enjoy his car for the rest of the year, and next year without having to worry about what happens next!